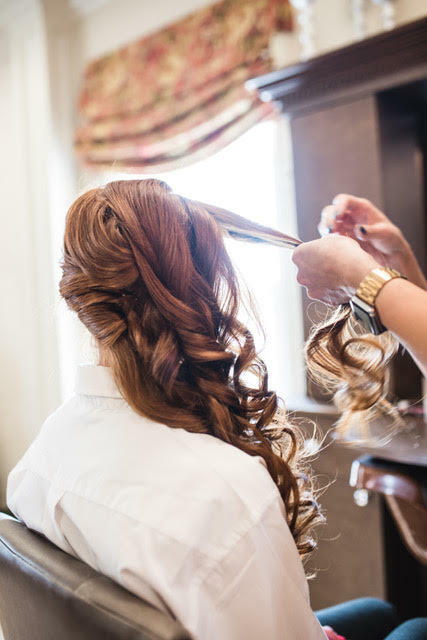 Danielle was a stunning Nottoway bride and we are so glad she decided to work with Verde Beauty Studio. Danielle had the hair that Pinterest dreams are made of and she chose a bridal style that really showcased this! "We went to high school and college together and had one class in high school together but we never talked until college when he asked me if I wanted to go to a football game with him. Even though I didn't really like football I said yes and we've been together ever since!" "We had both just graduated college and I just got back from NYC and LA and I met him at our favorite park that Sunday evening and when I got out of my car he had the ring in his hand and he asked me to marry him, and I said yes!" "Nottoway Plantation has always been my dream wedding venue ever since I took a field trip to the plantations in elementary school." "The plantation in general was specific to me because I wanted a very Louisiana themed wedding." "The cake knife that we used was the same cake knife that my parents used at their wedding." "I wish I would have realized how quickly the ceremony would fly by." "Make sure to soak in every moment and don't stress over the small details, just enjoy it!" Check out more of Caitlin's work here! Horse and Carriage : Pegasus Carriage Co.